Situated on one of the most valuable pieces of real estate in the country, Trump Residences Toronto rises 65 storeys above Toronto’s bustling Financial District on the corner of Bay and Adelaide. 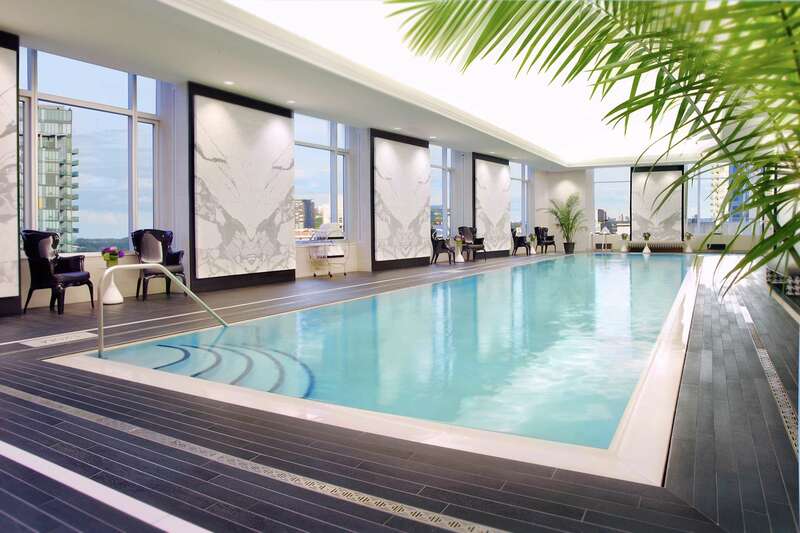 When you live in a building as extraordinary as the Trump Residences Toronto, you can expect to be surrounded by the best services, finest finishes and first-class amenities. The 118-unit luxury hotel and residence by Talon International Development Inc. does not disappoint. Not only do residents have 24-hour access to five star hotel services like in-room dining and full catering, concierge, housekeeping and valet, but they also have full access to a wealth of amenities. These include a residents-only Sky Lobby, two-level spa, state-of-the-art fitness centre and an infrared sauna. However, the centerpiece of the amenities has to be the indoor aquatic facility. Clad in Italian marble, the 32nd floor facility offers sweeping views of the city and features a natural salt water infinity-edge pool with a cleanstream spa tub waterfall. The 65 foot lap pool also boasts a newly installed omni-directed underwater dispersion speaker system that can be pre-programmed to play music, further enhancing the underwater experience. 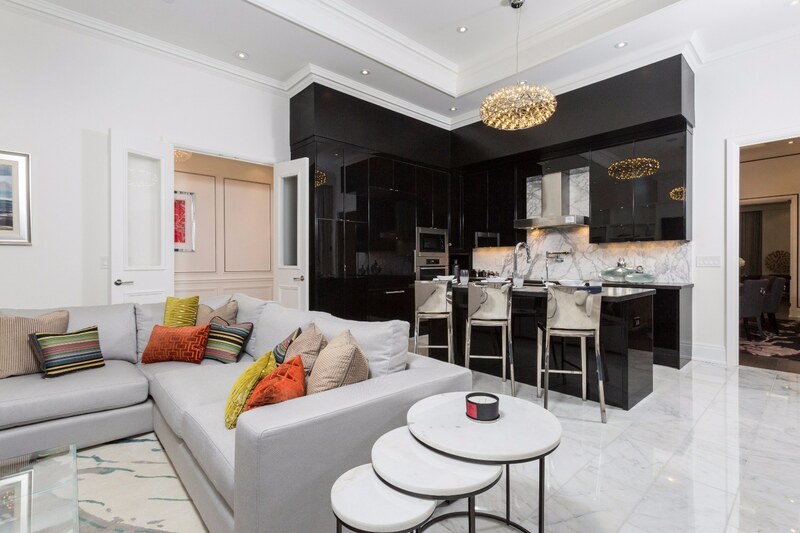 Suites at Trump Residences Toronto start at $1,595,000 and are appointed with the finest features and details including natural stone floors, cornice mouldings, soaring ceilings and expansive floor-to-ceiling windows. Standard finishes include custom Downsview kitchen cabinets, granite or quartz countertops, integrated Miele appliances and Rubinet faucets. For more information, please call 416 214 2800 or email sales@trumptoronto.ca.